December, 2014 | The Shearer Group Inc.
New Orleans, Louisiana – International WorkBoat Show- December 3rd, 2014 –Conrad Shipyard, L.L.C. 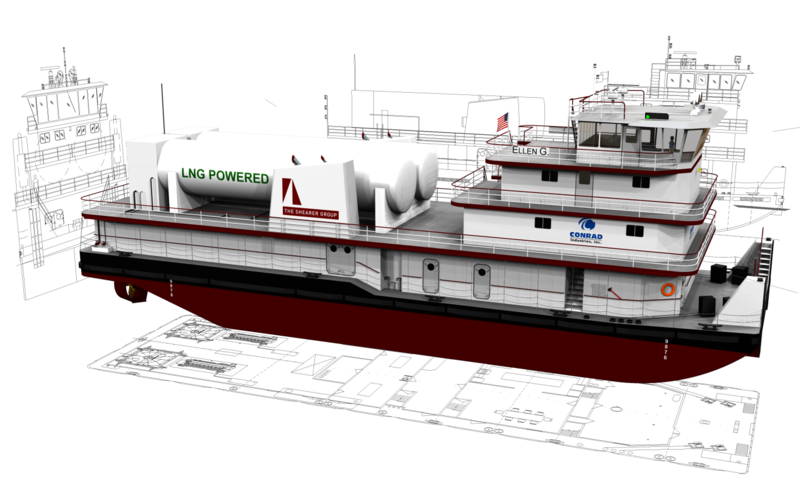 and The Shearer Group, Inc. (TSGI) have worked together to develop the design of a Liquefied Natural Gas (LNG) powered towboat utilizing a proven design from TSGI. The team has been awarded an “Approval in Principle” (AIP) by the American Bureau of Shipping (ABS) for the design of the 4,200 horsepower LNG towboat.